Just a stone’s throw from The House is a beautiful Thai tapas joint that we can’t help but swoon over. 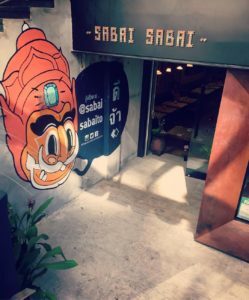 Sabai Sabai‘s mission is simple, highlight the best flavours of Northern Thailand and Laotian food and serve them to guests with creativity and care. The name loosely translates to ‘Peace, Tranquility, and a Sense of Well-being’, it’s needless to say you will be well taken care of at Sabai Sabai. The perennially packed joint features a rich menu that is equally weighted with standout vegan options. 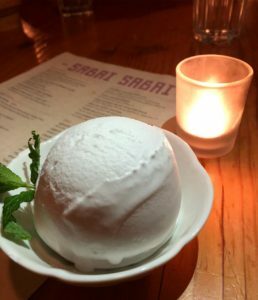 With never-ending combinations to create the ultimate feast we just ask that you leave a little room for the house-made vegan ice cream. You’ll agree that this phenomenal palette cleansing goodness goes down a little too easy.